Well, hello there! I've been dying to get back to blog-land but this week, my day job has been absolutely crazy. I'm off for the holiday weekend and working on lots of really exciting new things. Today, I'm launching the first new items in my brand new line of vintage inspired home decor and accessories, produced in my family's studio, Naked Man Press. The production process is called dye sublimation. It uses a special dye to print the image which is then transferred to specially coated ceramic using high heat and extreme pressure. The image is fused into the ceramic, making it washable. This is not Mod Podge or glue, the vintage art is permanently fused into the ceramic. This process is used on ceramics, specially coated metals, glass and certain fabrics. My mom, Mickie Mueller is a fairy/fantasy artist. For many years, she sold her art prints at local festivals and online but when a demand for more merchandise grew, she started producing her own home decor and accessories featuring her beautiful art. 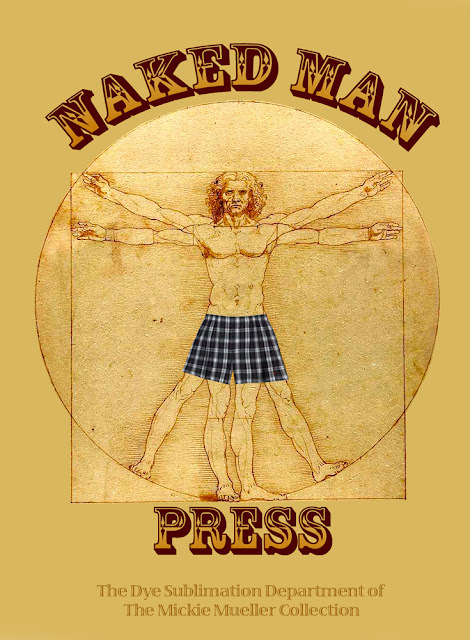 Wonder why it's called "Naked Man Press"? These machines require a whole lot of muscle to operate and the only person that is strong enough to press them is my step dad, Dan. The machines are so hot that they heat up the studio to a point that Dan has to work in his boxer shorts so Naked Man Press was born! 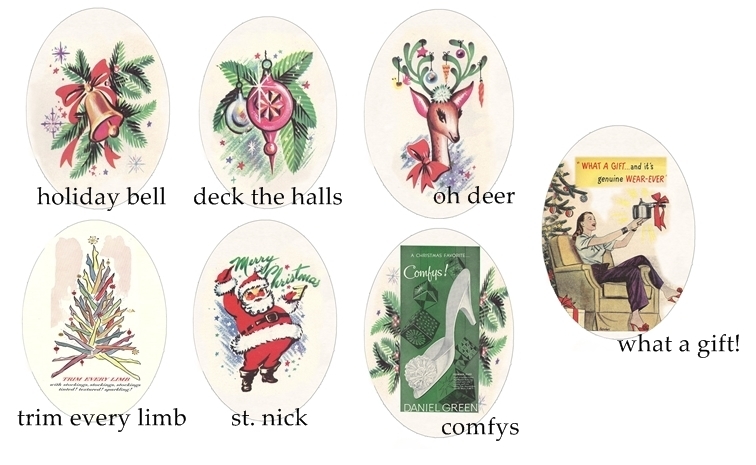 In the spirit of the holiday season, I just listed 7 retro ceramic Christmas ornaments featuring original vintage designs and advertisements from the 1950's. 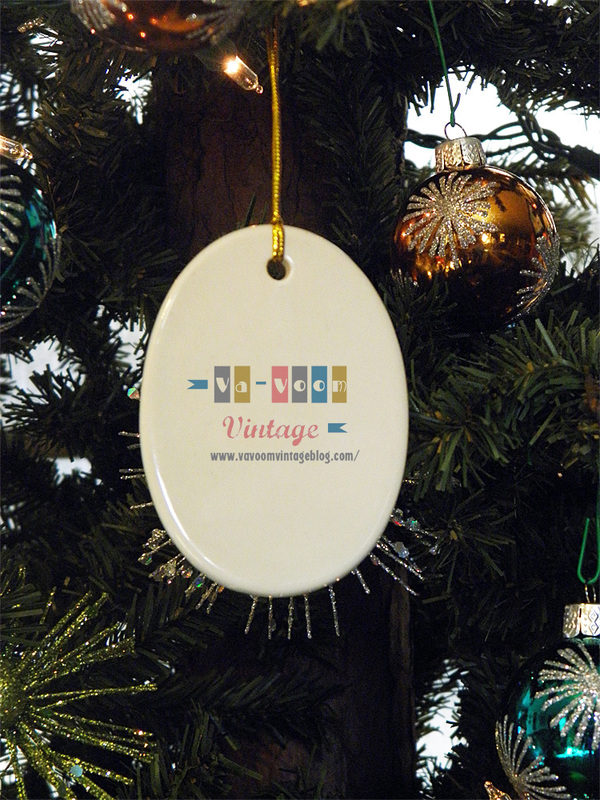 Each ornament is hand printed and heat pressed onto the ceramic, with the Va-Voom Vintage logo on the back. 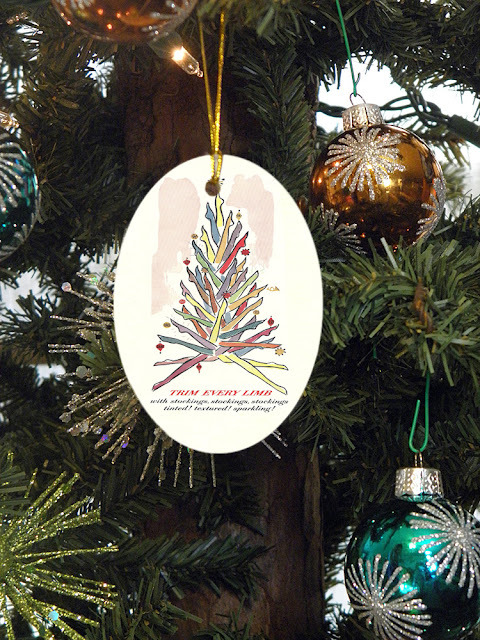 They are very popular for ornament exchanges and holiday package embellishments. I especially love this clever holiday stocking advertisement ornament! Ornaments are sold separately or you can save when you buy your 4 favorite designs. These are so cute BrittanY!! Love the company name "Naked Man Press". How festively fantastic! 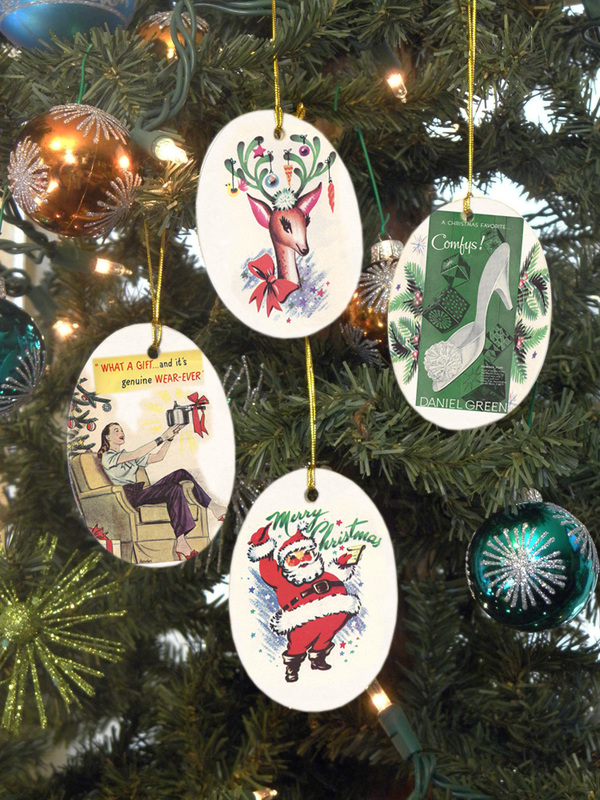 Awesome job on these ornaments, dear gal, I adore all of them - the stocking tree is my fave, too. Great job Brit, I love them. You are so creative, Miss Vintage Martha Stewart. CUTE!!! and congrats on this new endeavour!